On Tuesday 3 October director of Veem House for Performance Anne Breure presented the first version of the Fair Practice Code for the arts to the demissionary minister Bussemaker. This first version of the Fair Practice Code is a starting point which offers a normative framework for sustainable, honest and transparant entrepreneurship to those that work in the field of arts, culture and the creative industry. This framework is needed to provide healthy labour conditions for a professional practice. The first version of the code was drafted by a broad representation of creative professionals from various disciplines. Artists, policy makers, mediators and other interested parties gathered for the kick-off at Veem House for Performance and contributed to the further development of the Fair Practice Code during a work session organised by Kunsten ’92. The work session was led by Rune Peitersen, who kicked-off the meeting by asking everyone present what the Fair Practice Code means to them as an artist, art organisation, funding institution or government. In 2018 Kunsten ’92 will coordinate the further development of the Fair Practice Code. 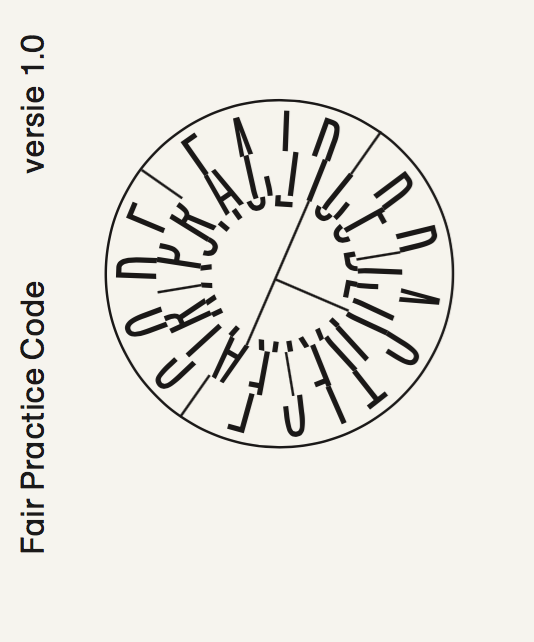 The Fair Practice Code version 1.0 is currently only available in Dutch. Should you have any questions regarding the Fair Practice Code and what it means for you as an artist, a curator or a mediator, please let us know. Remarks to the Code can be made via fairpracticecode@kunsten92.nl. A website is being developed with existing norms and best practices.